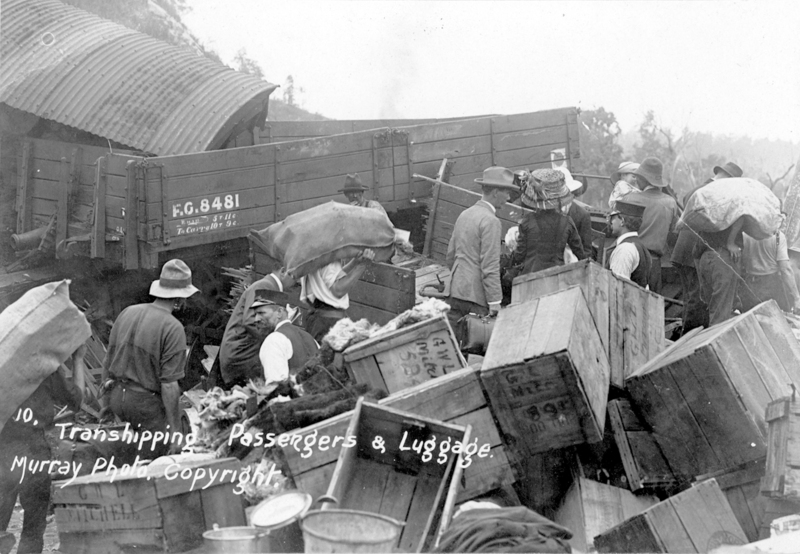 On the morning of January 29, 1913 a livestock train departed from Toowoomba and derailed near the Murphy’s Creek railway station, about one mile from the station yard limits. No members of the crew were injured, but many hundreds of cattle were killed and a considerable amount of damage was caused to the vehicles and the track. In response a breakdown train was sent to the scene of the disaster to clear the line for traffic. The area where the derailment had taken place was relatively inaccessible and workers had to prise the wreckage apart. 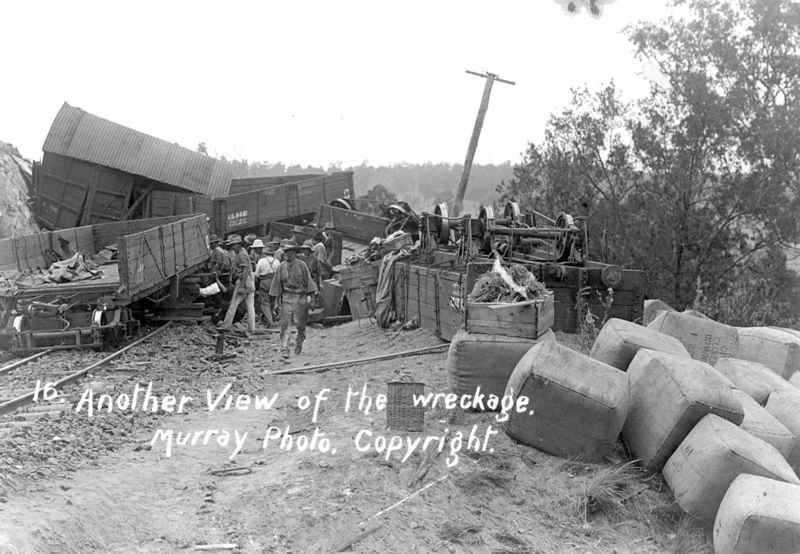 Tragically, the next day a relief train from Toowoomba ran into the men working on the breakdown, with the result that six men were killed and several were seriously injured. 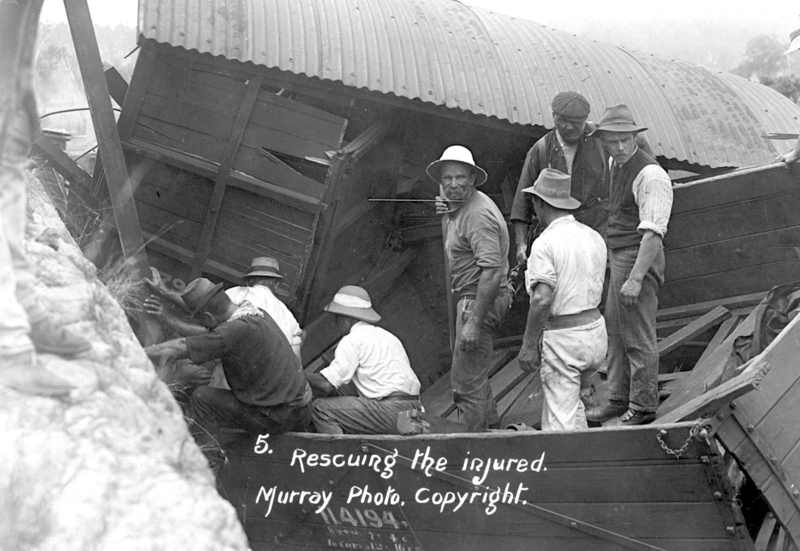 Within its collection Queensland State Archives holds the depositions and findings from the inquest into the railway accident at Murphy’s Creek (Queensland State Archives Item ID 18933). The inquest file, number 164 of 1913, is available for viewing in the Public Search Room.